Bumped for North America. 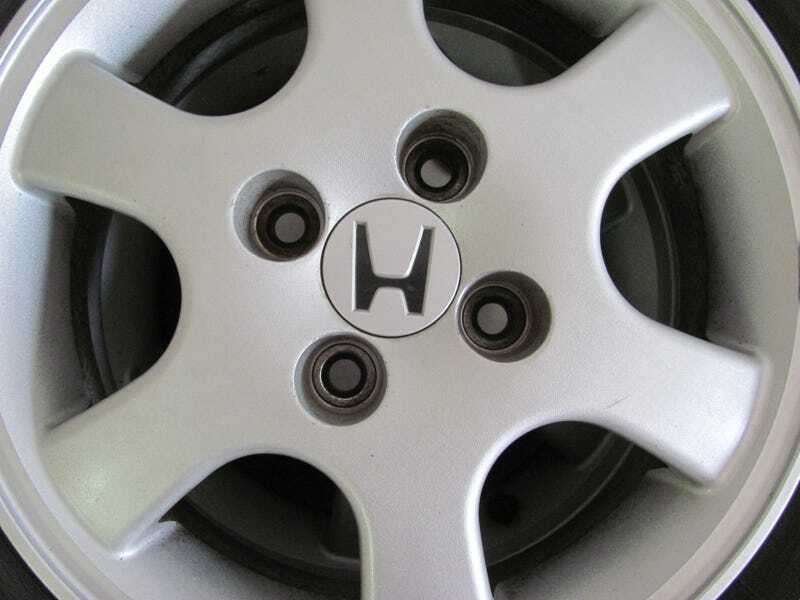 I still don't take possession of the Honda Logo TS for maybe another three weeks, but I do have the rims now. Like the general exterior of the Logo itself, these were not well taken care of by the soon to be former owner. She let them get a bit scratched up, but worse she let them rust. The interior of the wheel well is pretty bad, but there's some bad rust spotting you can see. I found out that using Magic Erasers works pretty well, but requires a lot of elbow grease. I like the design, but I've debated painting them. A matt black might look good, since I'm planning on going JDM with the car, since, you know, this is Japan and it's a JDM Logo already. Such a nice interior, in my view, requires a suitable exterior.